DriveNow also offers car sharing parking at the Lisbon Airport. Where you will be able to drop off the car or start your reservation from the airport. 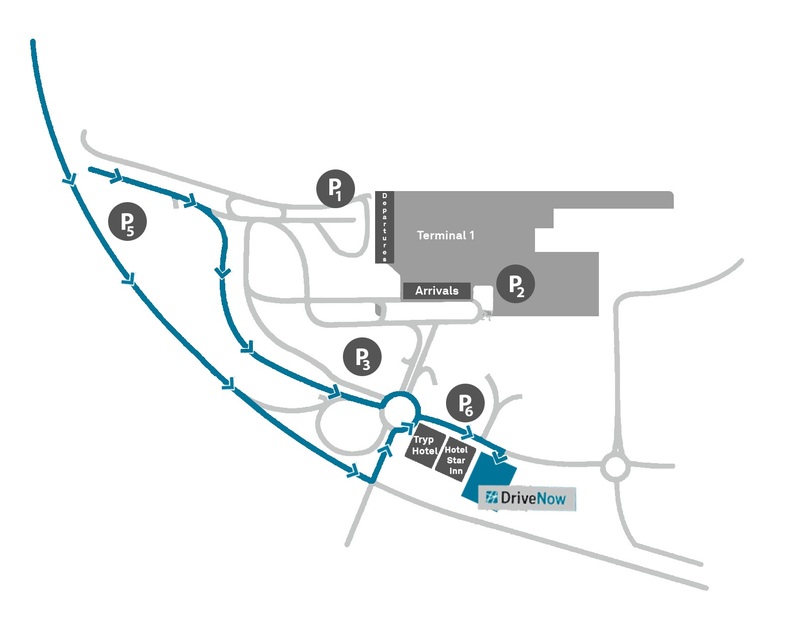 Once you land safely and it is allowed to use your devices, open the DriveNow app and reserve a car at the airport located at parking area P122. You have 15 min to get your luggage and get to the car. Open the car with the app and start driving home or to your hotel. The costs for driving to the airport are the normal per minute rates with an extra €2,50 fee for picking up the car. See how to get to the airport below. Follow the signs to Terminal 1 Lisbon Airport (arrivals). Enter P122 (close to Tryp Hotel), the barrier will open automatically. On left, you can find the parking slots available for carsharing. Park the car and complete your booking.